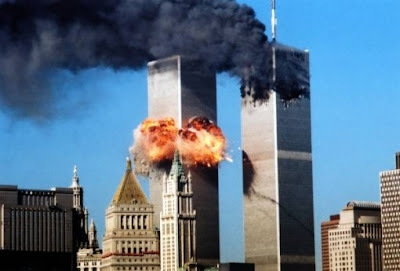 After 15 years of the most horrific attack on American soil, there is a lot of controversy with regard of what really happened on this terrible date, however, the problem back then was and still is, that most of the American people are quite naive and they trust in the politicians they have elected, they can’t believe that these people are actually bad and greedy people. Fortunately many of the American people are awakening, questioning and finding new evidence that this terrorist acts were in fact part of an inside job, the real terrorist are free, their hands are still covered with the blood of innocent people, but they have so much power that they cannot be prosecuted. To begin with, the clues to understand what really happened have to do with the Airlines, those who did not look carefully, should pay attention to the stock and shares of the airline Companies involved on this attack, twelve hours or so before the towers collapsed, there was a huge change in the stockmarket, this means that somebody knew in advance that this attack was going to happen, also you should look at the number or aircraft war games performed on that date, more than normal and how two or three squads suspicioulsy were removed from that area, this also aims that very powerful people were pulling the strings. Some weeks before the attack, a group of people went into the towers and planted explosive charges, from the basement and way up, these type of explosives were special, a sort of explosive charges designed not only to destroy concrete, but also steel, these charges had a lot of aluminium, which is why workers found that the heat was so strong and molten metal was found buried underground, even months after the attack. Also there was the involvement of a weaponized satellite that holds an energy beam weapon that worked in conjunction with the charges planted in the buildings, this beam weapon struck the towers from the space and then the charges were detonated, this beam weapon literally turned the towers into dust, which caused a lot of damage to the people’s lungs in the long run. Many people were surprised that the volumen of rubble was almost inexistent. The towers were insured and reinsured in a matter of weeks before the collapse, for a vast amount of money, also in the case that both towers came down, you should question the frases "Cui bono" and "follow the money" to discover the main suspects. Few people know that the WTC7 building also collapsed on that day, this building contained CIA records and it was not supposed to collapse, many experts agree that WTC7 came down due to a controlled demolition. This fact proves that this attack was designed for financial gain and also to develop a platform to control the freedom of the people, because the ultimate goal of these people is to achieve a one world government ruled by the banking elite. We must make a difference between Jewish people and those from the Zionist group, who through Mossad played an important role on this horrible act of state terrorism. This dreadful, evil and inhuman act made in mass scale has caused a lot of pain to families and was designed to destroy the spirit of good and decent people, we must be sure that those evil people who participated on this act will not be successful in their plans, they have a lot of karma to deal with, and sooner or later the truth will come to the Light. This entry was posted at Saturday, September 10, 2016 and is filed under History, Secrets . You can follow any responses to this entry through the .